Although medical advances have remarkably increased the survival rate of the severely burned, such patients still encounter physical and psychological pain and disability, disfigurement, and social rejection. Rising from the Flames examines the experience of the severely burned as survivors confront it, not just as a medical event but as a human ordeal involving social, cultural, psychological, and medical trauma. 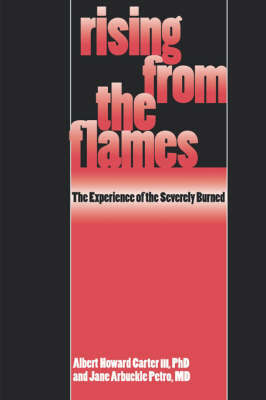 It discusses the causes of burns, the physiology of injury and healing, the forms of isolation burn patients endure, and the cultural meaning attached to burns and burned persons.